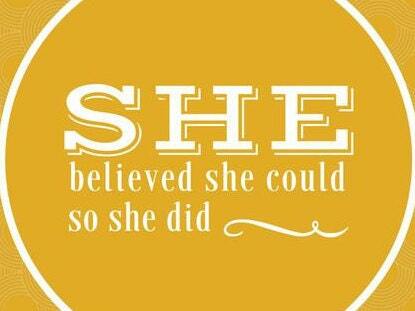 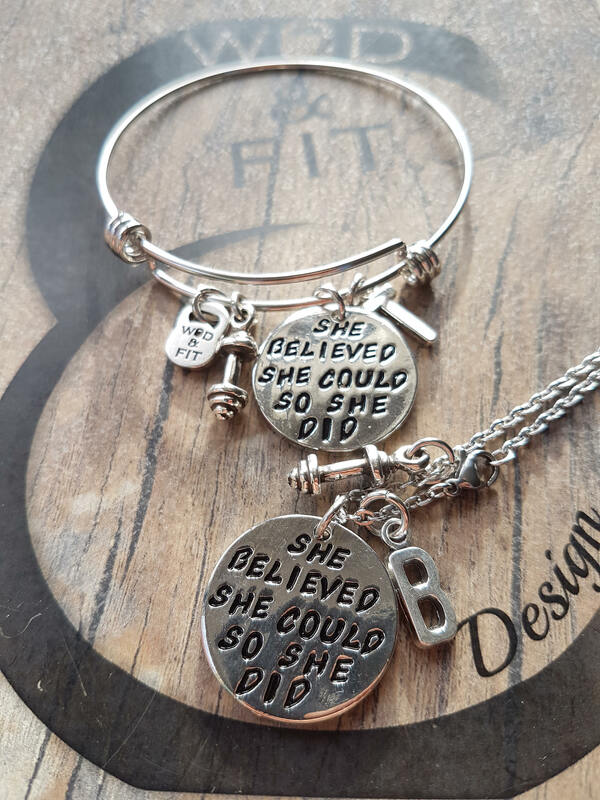 Bracelet She Believed She Could So She Did Dumbbell & Initial Leter. 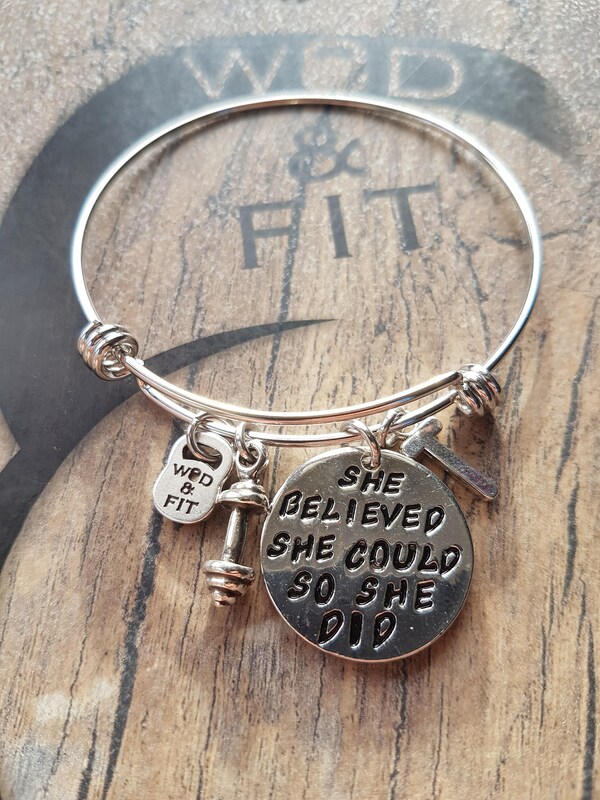 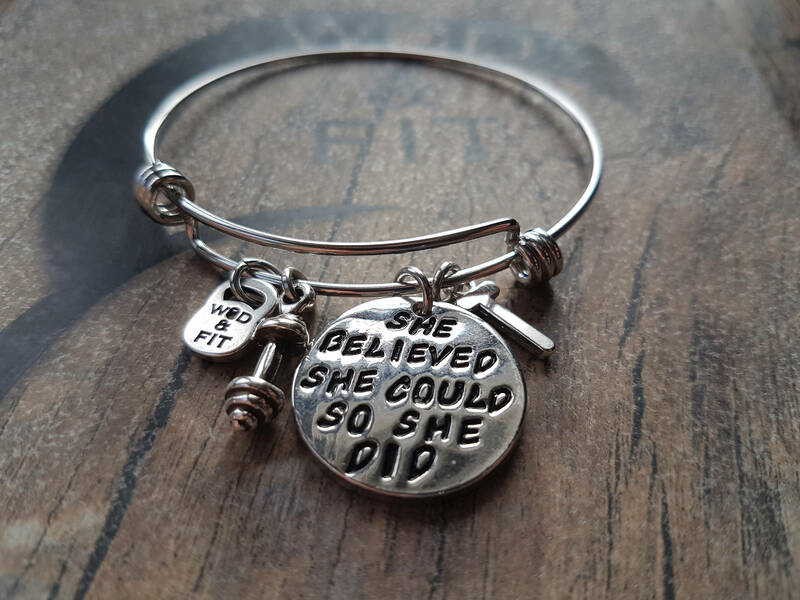 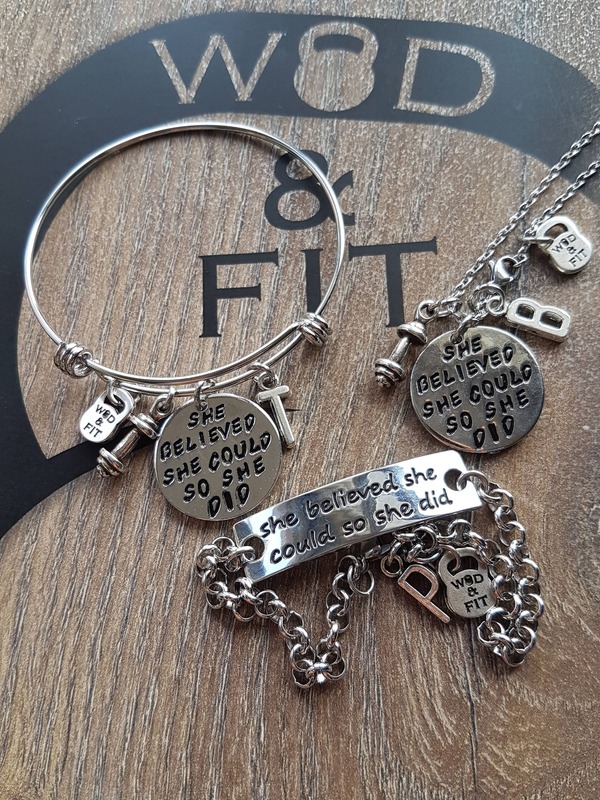 Bracelt "stainless steel" Adjustable with the quote "She Believed She Could So She Did "(25mm) Dumbbell and the your first letter. 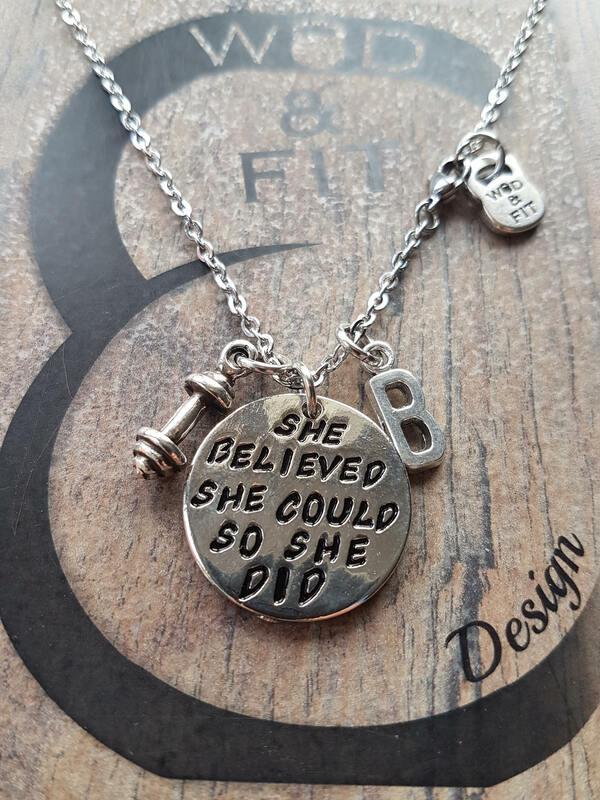 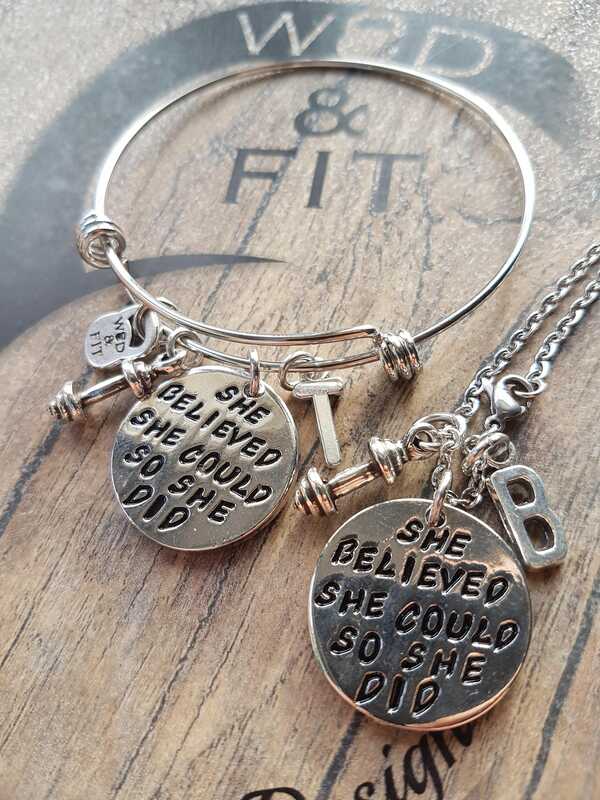 Necklace in "stainless steel" with the quote "She Believed She Could So She Did" (25mm) Dumbbell and the your first letter.